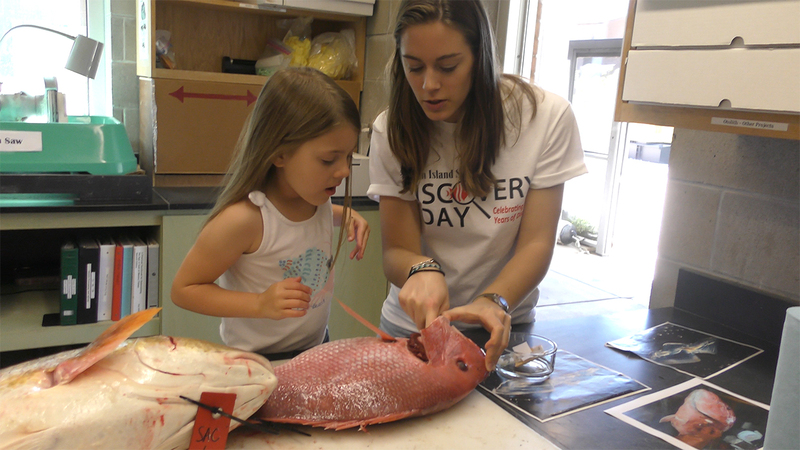 Meet our researchers, students, and educators as they take you on a journey through coastal Alabama's ecosystem. Learn why it's important to conserve our unique environment, and get up close with fish, sharks, rays, and more in a variety of interactive exhibits. Visitors can also take a tour of our laboratories and step aboard the Research Vessel Alabama Discovery. Admission is free to all exhibits outside the Estuarium. This year, Airbus is lending a hand and sponsoring discounted admission to the Estuarium for adults and seniors. Children admission is free to the Estuarium for the day. 92Zew will be on campus for a live remote that morning. Click here for more details on Discovery Day.